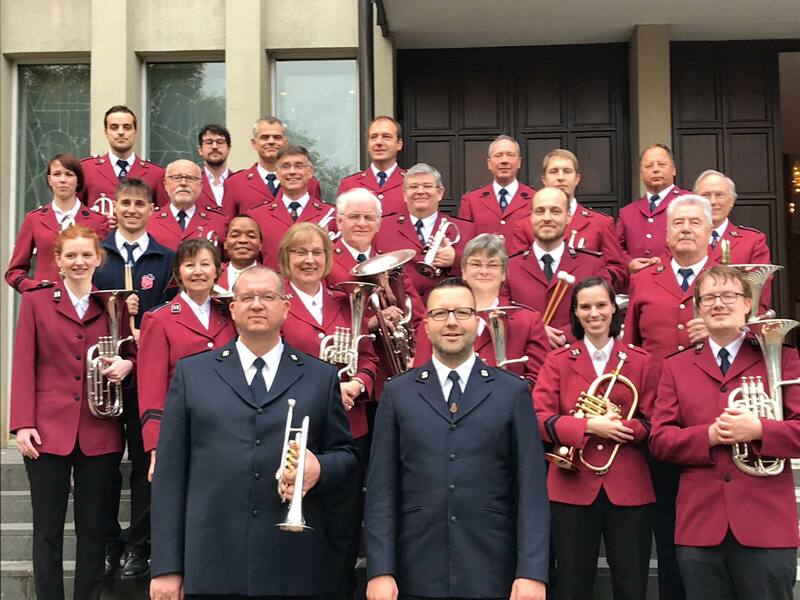 Still recovering from the Amsterdam Staff Band “mini-tour” the previous weekend (Report), Staff Bandmaster Olaf Ritman and Staff Band principal cornet Steef Klepke traveled to Germany on the weekend of 2 – 4 November 2018 as guests of the Western Divisional Band (Bandmaster Ruben Schmidt). Bandmaster Ritman was the guest conductor for the weekend, and he programmed several of his own compositions, the most challenging of which was Vain Resistance. The weekend started on Friday night, with a rehearsal at the Solingen Corps, which is the home of several members of the German Staff Band, including long-time Staff Bandmaster Heinrich Schmidt, who has also been the bandmaster of the band at Solingen for the past 42 years. Saturday was spent in the town of Gelsenkirchen, at the beautiful Pauluskirche (Paulus Church). 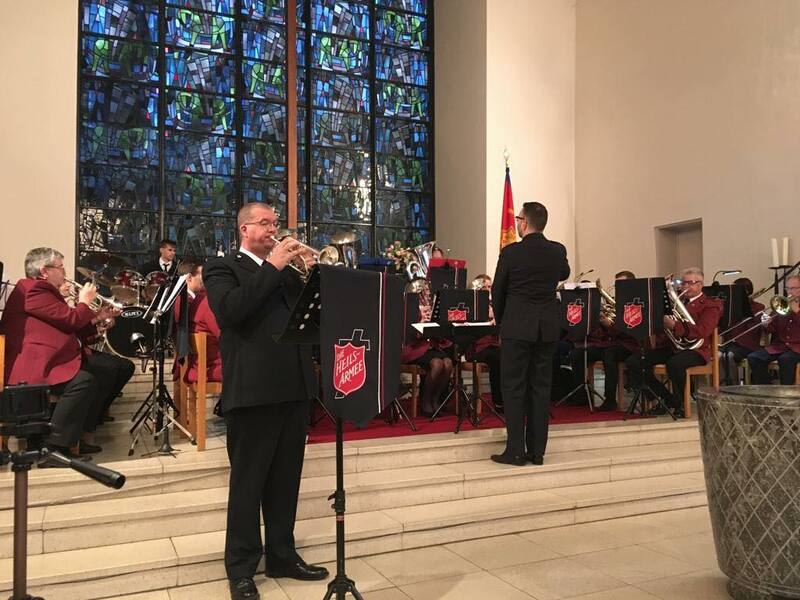 On Sunday, both of the guest artists joined the bandsmen at Solingen Corps, then went to Gelsenkirchen again for the big concert. Items that were played included Vain Resistance, Greater Things, Floods of Joy (featuring Klepke as soloist), Tu Es Petrus, and When I Survey (featuring the “posaune” [trombone] section). All of these are compositions by Bandmaster Ritman. Also included was Poor Wayfaring Stranger, written by Solingen Bandmaster (and German Staff Band solo horn) Ruben Schmidt for the Amsterdam Staff Band’s tour of the USA earlier in the year. All in all, it was a great weekend, with comradeship, fellowship, and fun. The Salvationists in Germany are to be congratulated in what they do, always being optimistic despite facing some hard times. The Salvation Army in Germany is not a large organization, but the people that are part of it are fantastic. 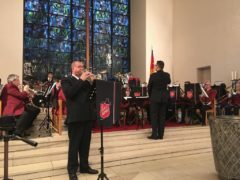 First steps were made and some ideas exchanged for a joint concert by the German and Amsterdam Staff Bands, which have only played together once in the last 30 years. This article was posted in News and tagged Amsterdam Staff Band, concert, Gelsenkirchen, German Staff Band, Heinrich Schmidt, ministry weekend, Olaf Ritman, Pauluskirche, rehearsal, Ruben Schmidt, Solingen, Solingen Corps, Steef Klepke, Western Divisional Band on 14 November 2018 .